A Frost & Sullivan study commissioned by Microsoft found that a cyberattack can cost a large manufacturing organisation in Asia Pacific an average of US$10.7 million in economic loss with customer churn being the largest economic consequence of a cyber breach, resulting in US$8.1 million of indirect cost. For mid-sized manufacturing organisation, the average economic loss was US$38,000. Furthermore, cybersecurity incidents have also led to job losses across different functions in more than three out of five (63 percent) manufacturing organisations. While the impact of data vulnerabilities and breaches can be costly and damaging to the manufacturing organisations, its supply chain and consumers, the study uncovered that half (51 percent) of the manufacturing organisations in Asia Pacific had either experienced a security incident or were not sure if they had had a security incident as they had not performed proper forensics or data breach assessment. 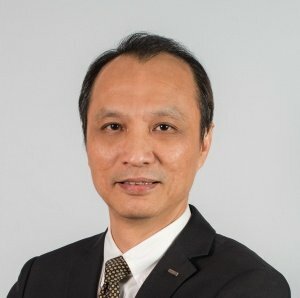 The study further revealed that instead of accelerating digital transformation to bolster their cybersecurity strategy to defend against future cyberattacks, almost three in five (59 percent) manufacturing organisations across Asia Pacific had delayed the progress of digital transformation projects due to the fear of cyberattacks. Delaying digital transformation not only limits the capabilities of manufacturing organisations to defend against increasingly sophisticated cyberthreats but also prevents them from leveraging advanced technologies, such as artificial intelligence (AI), cloud, and the Internet of Things (IoT), to dramatically increase productivity, empower their workforce and deliver new service lines. The initial study surveyed a total of 1,300 business and IT decision makers ranging from mid-sized organisations (250 to 499 employees) to large-sized organisations (>than 500 employees), of which 18 percent belong to the manufacturing industry. 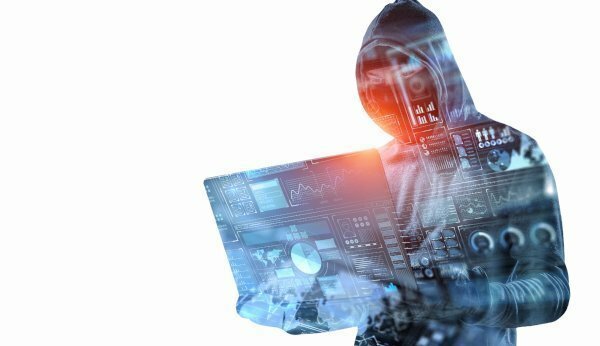 The study showed that nearly three in five (57 percent) manufacturing organisations with 26 to 50 cybersecurity solutions took more than a day to recover from cyberattacks. Conversely, only 26 percent of organisations with less than 10 solutions took more than a day to recover. In fact, 35 percent of them managed to recover from a security incident within an hour. Traditional tactical viewpoint towards cybersecurity: Despite the growing sophistication and impact of cyberattacks, the study revealed that majority of the respondents (41 percent) hold a tactical view of cybersecurity – “only” to safeguard the organisation against cyberattacks. While only one in five (19 percent) viewed cybersecurity as a business differentiator and an enabler for digital transformation. 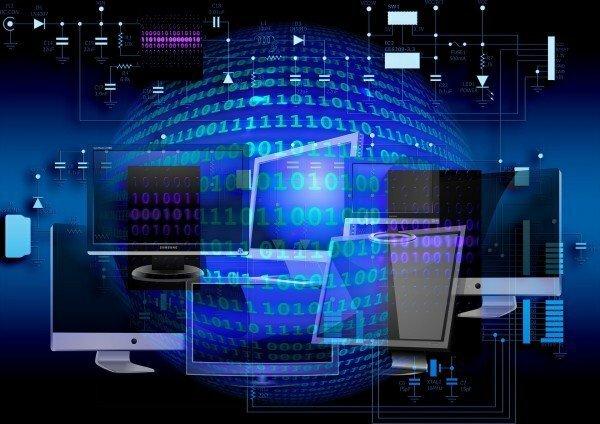 The study revealed that only 26 percent of manufacturing organisations who had encountered cyberthreats considered a cybersecurity strategy prior to initiating a digital transformation project. The remaining respondents either thought about cybersecurity only after the commencement of their digital transformation projects or did not think about cybersecurity at all. “Cyber attackers are constantly looking for opportunities, so the more businesses know about their techniques and tradecraft, the better prepared they will be to build defenses and respond quickly. Building organisational resilience and reducing risk by adopting a security approach that includes prevention, detection and response can make a huge difference in the overall cybersecurity health of a manufacturing organisation,” he added. AI plays a critical role in manufacturing organisations as they increasingly rely on machine learning automation to increase their efficiency and output by scale while reducing cost and downtime through predictive maintenance. AI is also a powerful tool that can enable manufacturing organisations to defend themselves against increasingly sophisticated cyberattacks. The study revealed that 67 percent of manufacturing organisations in Asia Pacific have either adopted or are considering an AI-based approach to improve their security posture. Cybersecurity solutions that are augmented with AI and machine learning capabilities can autonomously learn what is normal behavior for connected devices on the organisation’s network, and swiftly identify cyberthreats at scale through the detection of behavioral anomalies. Cybersecurity teams can also put in place rules that block or quarantine devices that are not behaving as expected before they can potentially damage the environment. These AI-powered cybersecurity engines enable manufacturing organisations to address one of their largest and most complex security challenges as they integrate thousands or even millions of IoT devices into their information technology (IT) and operational technology (OT) environments. Microsoft Asia and IDC Asia Pacific released findings specific to the manufacturing sector for the study, Future Ready Business: Assessing Asia Pacific’s Growth with AI. The manufacturing sector, which contributes to a significant proportion of Asia Pacific’s GDP, continues to face rising competitive pressure due to growing costs and lower margins. Manufacturers are increasingly turning to emerging technologies to stay ahead of the competition. Those organisations that have started to adopt Artificial Intelligence (AI) believe it will nearly double their competitiveness (1.8 times) in the next three years. “However, 59 percent of manufacturers have not adopted AI as part of their business today. This is a worrying sign for the industry that needs to thrive on innovation,” added Hunter. They are already seeing business improvements in the range of 17 percent to 24 percent today, and further improvements are anticipated in three years by at least 1.7 times. The biggest jumps are expected in driving accelerate innovation (2.0 times), and higher margins (1.9 times). One example is Piramal Glass, a leading glass packaging manufacturer in India, which has turned to AI, Internet of Things and advanced data analytics on the cloud to drive operational efficiency, enhance customer experience and generate new revenue models. Their in-house solution, RTMI, offers advanced insights in real-time that led to five percent reduction in defects, 40 percent reduction in manual data gathering and 25 percent improvement in employee productivity. There is no surprise that manufacturers need to have a more robust data strategy in place in order to train task-based AI solutions. Today, manufacturers in the region are still dealing with a data structure where it can only be accessed by a centralised analytics team. The quality and timeliness of data are still major issues that are being addressed on an ad-hoc basis. There is also no extensive enterprise data governance program in place. More than half of the manufacturing workers, and nearly half of the business leaders polled believe that cultural traits and behaviors are not pervasive in their organisation today. For example, 63 percent of workers and 57 percent of business leaders do not agree that employees are empowered to take risks, and act with speed and agility within the organisation. Dairy enterprise ACM’s newly opened high-tech milk processing and manufacturing facility in Victoria, Australia is leveraging state-of-the-art intelligent technology to better manage costs via a rich data approach. By introducing machine learning capabilities, ACM is able to reduce human errors from contaminating organic milk with conventional milk, which also minimises wastage. In addition, by introducing automation for production planning, logging and quality assurance; as well as factory maintenance with the help of CRM and AI solutions, ACM has been able to rein in weekend overtime costs of AU$100,000 annually. The good news is that majority of business leaders and workers in the sector believe that AI will have a positive impact on their jobs. 62 percent of business leaders and 77 percent of workers believing that AI will either help do their existing jobs better or reduce repetitive tasks. 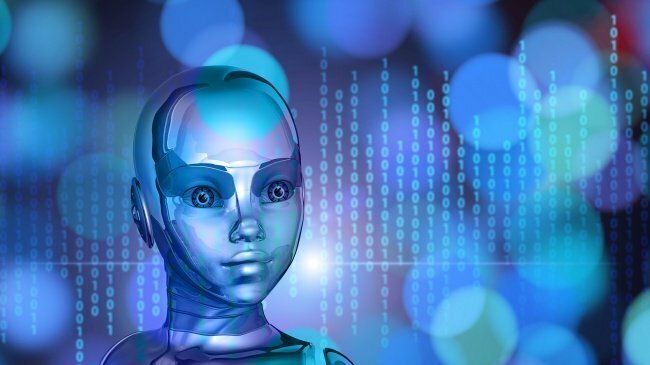 The worldwide manufacturing sector investment in artificial intelligence (AI) services are expected to increase from US$2.9 billion in 2018 to US$13.2 billion by 2025, according to a report by Tractica. AI technology includes machine learning, deep learning, natural language processing, computer vision and machine reasoning. Although manufacturing companies are wary of risks in implementing new technologies due to large amount of capital and time required, they are at a steady pace, increasing adoption of AI technology. AI technologies in smart manufacturing applications can increase operational efficiencies and reduce cost of production. “As manufacturing becomes more cost-sensitive and customers demand quality, manufacturers are using AI to enhance the performance of equipment, reduce downtime, and improve the quantity and quality of products,” said Keith Kirkpatrick, principal analyst at Tractica. 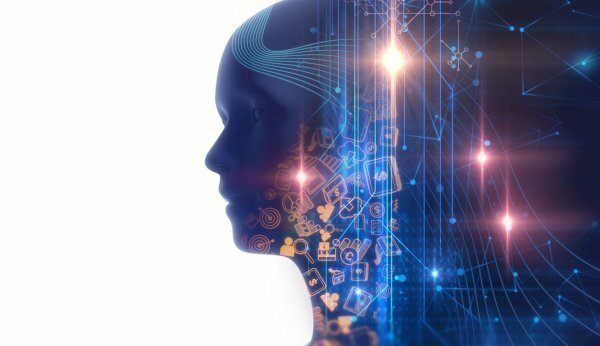 “The overarching driver of AI technology is the ability to find insights in large data sources that would be too unwieldy for humans to analyse quickly,” he added. Nanyang Technological University, Singapore (NTU Singapore) and AMD have joined forces to launch a Data Science and Artificial Intelligence Lab, which will nurture next-generation tech leaders with the latest industry-driven digital skills. 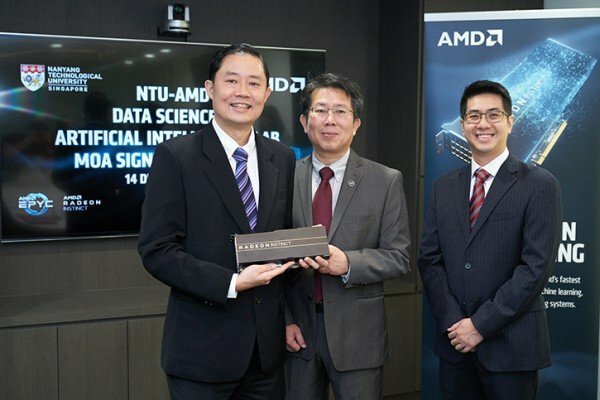 The S$4 million joint Data Science and AI Lab will leverage AMD’s deep-learning technologies and NTU’s global strengths in machine learning, artificial intelligence (AI) and data science, to complement the university’s Data Science and Artificial Intelligence undergraduate programme. NTU students will be exposed to real world applications such as developing software algorithms used in security fields like identification and motion detection. They will also work on big data and analytics which are now frequently used by leading organisations. For example, students will get opportunities to develop clinical support solutions using big data analysis to aid medical diagnosis. Students will also undergo training to participate in supercomputing competitions using AMD’s versatile open source software, Radeon Open Compute (ROCm) platform. 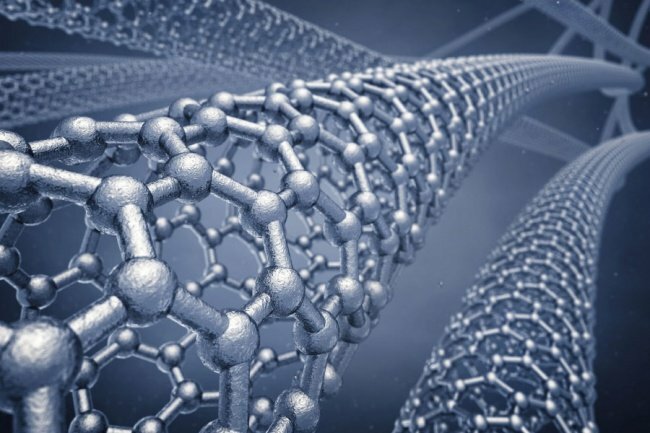 This software facilitates ultrascale or hyperscale computing, a form of high-performance computing that can simulate complex systems within just a few days where it typically used to take years. 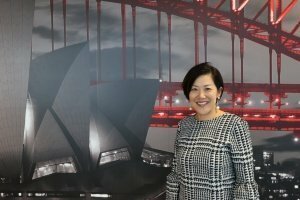 Asia Pacific Metalworking Equipment News is pleased to interview Ms. Tan Yen Yen, President, Asia Pacific at Vodafone Business regarding Vodafone’s achievements for 2018, the company’s aims for 2019, and the trends that will shape the industry in the following year. In the era of unprecedented change, our focus remains on delivering what our customers need so that they are better prepared for the future. To that end, our biggest highlight for 2018 would be the refresh of Vodafone’s enterprise division brand – now called Vodafone Business – which renews our commitment on putting customers and tangible business outcomes at the core of what we do. In the past year, Vodafone expanded our connectivity in building over 1 million km of fibre network globally. As a result, we were able to augment our relationships with global brands and collectively work towards building a connected economy. Vodafone also recently announced a partnership with Hyundai Motor and Kia Motors to provide customers with fully-connected in-car infotainment and connected car services. Connectivity was a focus area for Vodafone in the past year and will continue to be in 2019. We were also positioned in the ‘Leaders’ category in IDC’s 2018 Asia/Pacific Communication Service Provider MarketScape for the first time. Vodafone was the biggest mover in this year’s study in terms of its year-on-year growth on the index, largely owing to our refreshed focus on further growing the enterprise practice in the region with a distinguished focus on customer excellence. 2) What are your expectations on the regional economy in 2019? 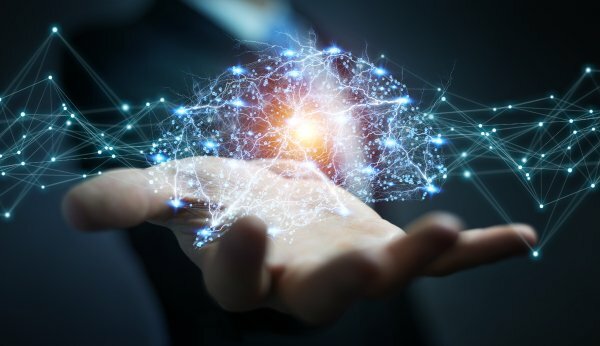 Vodafone just launched the 2019 Global Trends Report, which identifies customer centricity, ethics and purpose, and Artificial Intelligence (AI) deployment as key business priorities for the next 12 months. The speed and pace of change as a result of digital transformation is driving businesses to rethink business models to ensure they can continue to deliver on evolving customer demands. 2019 will also be the year that businesses gear up for 5G to improve operations and the customer experience. The coming year marks an inflection point in the regional economy’s growth. We see 5G as the catalyst for the Internet of Things to flourish. Singapore and Hong Kong are leading the region in supporting the development of 5G, with other nations to follow suit shortly. Higher bandwidth, lower latency and its ability to support more connected devices will see 5G enabling innovative IoT services and applications to be deployed at scale. This will be a game changer for businesses across multiple industries, from manufacturing to automotive as it offers access to real-time data, enabling increased efficiency, improved visibility into performance and ultimately a better customer experience. 3) What business trends in Asia capture your interest for growth next year? What do you think is the key industry trend to watch? Digital transformation has driven the agenda in many boardrooms this year, increasing the impetus for businesses to rethink business models and ensure they can deliver on customer expectations. In 2019, leaders will need to prioritise how they adapt to changing demands, as disruption continues to impact every facet of a business. As technology rapidly disrupts realities, the human relationship becomes invaluable. Businesses need to take a people centric approach to get ahead of changing customer needs in a market that is being reshaped by technology at lightning speed. As organizations go toe-to-toe on price points and new offerings, businesses need to seek differentiation in new areas and manage perceptions of their organisations carefully. Trust is an important barometer of customer loyalty. It is clear that people must remain at the heart of every business that seeks to thrive in the increasingly digital world. Customisation is the name of the new game and businesses must tailor services to individual needs of all stakeholders. Communications and mobility technologies will become the cornerstone of transforming the human experience and improving lives. 4) What potential opportunities do you see in the industry next year? Business leaders are starting to recognise the value of automation. 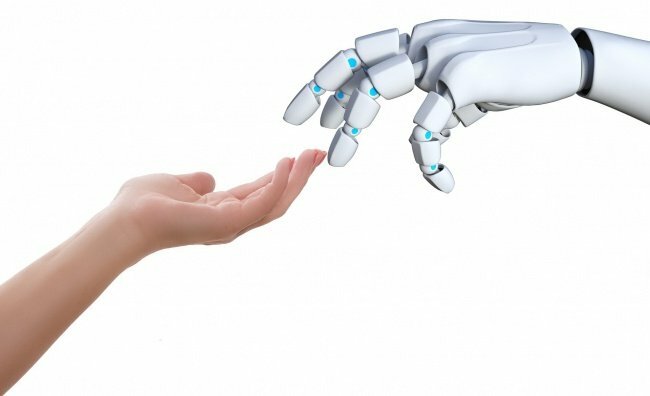 While three-quarters of total task hours are still driven by humans, the World Economic Forum expects the divide between man and machine to equalise by 2022. To address this shift, businesses need to rethink their approach to implementing automation at the workplace. Machines should complement and enhance their human workforces’ comparative strengths, instead of simply driving cost savings from reducing the number of human workers. There will be an opportunity for the region to accelerate digital transformation initiatives with automation technologies next year, but only if business leaders create supportive workplace environments to do so. Business leaders will be tasked to embrace and address employees’ expectations and fears of machines in the workforce. In our recent Global Trends Barometer report for 2019, we found that businesses are optimistic about the opportunities AI can provide, but do not yet fully understand its implications. This has caused an AI divide to emerge in the workplace and business need to act quickly to champion a positive mindset towards change. In order to make the best of the opportunity, enterprises need to demonstrate to employees that AI represents an opportunity. Additionally, this must be supported by a strategy that puts people development and growth at the centre, deploying talents to more strategic tasks and finding a role for those displaced by automation. 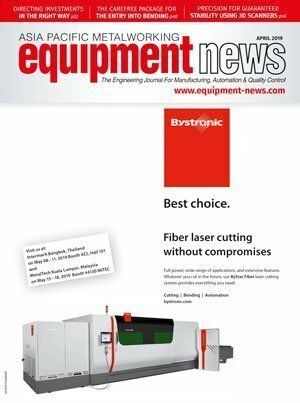 Asia Pacific Metalworking Equipment News is pleased to interview Andy Coussins, Senior Vice President and Head of International Sales, Epicor Software Corporation regarding Epicor’s achievements for 2018, the company’s aims for 2019 and the trends that will shape the industry next year. 1. Can you sum up Epicor’s focus and achievements in 2018? Globally, we had a good year in 2018, and we expect the momentum to continue next year. One of our major achievements in 2018 was our announcement of an expanded strategic partnership with Microsoft that allowed us to deliver enterprise-class solutions globally in the public cloud leveraging the Microsoft Azure platform. For customers, choosing Azure means more reliability, faster access to innovation, less disruption, greater ability to scale, and higher performance. Running Epicor ERP on the world’s most trusted cloud platform makes it even easier to focus on driving business growth. We have also had two updates to Epicor ERP this year. The latest version of Epicor ERP supports omnichannel commerce strategy for manufacturers and dealers, and Epicor Kinetic Design is a three-pronged common cross-platform user experience (UX) framework. 2. What are your expectations on the regional economy in 2019? I believe we will continue to see companies expanding their operations, particularly in Southeast Asia, where a higher growth path can be expected for 2019. This is coupled with the strong economic integration through the continued focus and commitment of the ASEAN nations to the AEC Blueprint which is aimed towards achieving the vision of having a highly integrated and cohesive economy by 2025. I also see the expansion of the digital economy in this region particularly around the convergence of communication networks and increased connectivity of devices. The increased use of ICT in manufacturing and services will continue to be a big enabler of growth and that will help boost the economy of the region. 3. What business trends in Asia capture your interest for growth next year? Asia, and particularly Southeast Asia, plays a very important role in the global economic landscape. The region is expected to become even more competitive as an industrial centre with deeper regional economic integration. This will be brought about by the ASEAN Economic Community focus on increasing trade and investment, integrating MSMEs in global value chains, and developing an innovation-driven economy. The focus on digitisation, especially for manufacturers, in this region will be an opportunity for all. 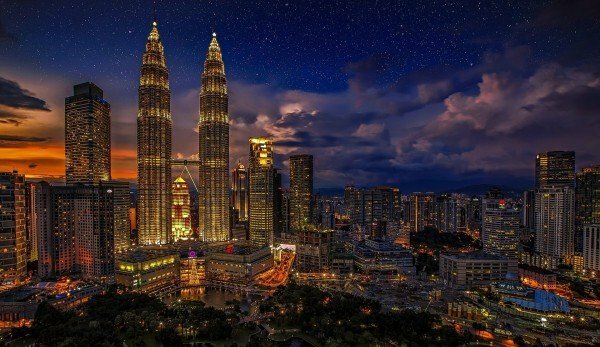 About 40 percent of the industrial companies in Southeast Asia rate their level of digitisation as high – it is believed that this will rise to 69 percent in the next five years. Coupled with fast moving global markets, Southeast Asian manufacturers need to respond quickly to changing demands to maximise new market opportunities. Our product vision is designed to drive industry forward with an intelligent business platform primed for global customers to embrace cloud, IoT, mobility, and predictive analytics—likewise, we strive to be ahead of the curve on trends like artificial intelligence (AI), blockchain, and machine learning, so we can help our customers embrace them when they are ready. 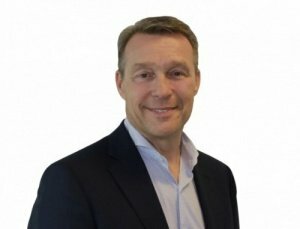 The unique strengths of the Epicor industry-specific ERP platforms are underpinned by a modern service fabric and topped with cross-platform applications that enable our customers to achieve digital transformation and raise the bar for automation, analytics, and customer experience. Innovative ERP solutions, combined with Industry 4.0 developments, are already helping to automate production lines, streamline supply chains, and provide the intelligent data manufacturers and distributors need to react quickly to changing consumer demands. One example include what Epicor customer Cladtek Singapore is doing to embrace these trends. Manufacturers in Asia, and mainly in Southeast Asia, are beginning to understand the business imperative of the Internet of Things (IoT), as well as artificial intelligence and data science. 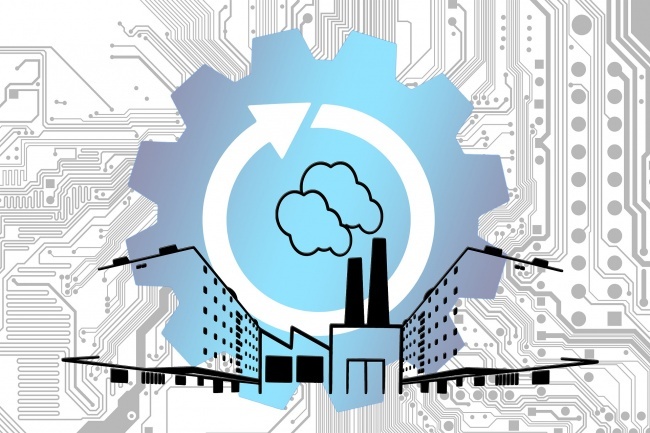 Done right, Industry 4.0 will enable them to improve efficiencies whilst reducing costs. By 2020, there will be 30 billion connected devices on earth. This is leading to a Big Data mountain growing beyond recognition. Machines communicating with people—and other machines—are creating so much data that we have generated more in the past two years than in the previous 5,000 years of human history. 5. What potential and opportunity do you see in the industry next year? There’s solid proof that prioritising technology will help businesses grow. This year, Epicor delivered its second Global Growth Index, and discovered that around the globe, manufacturing businesses are showing healthy signs of growth. The report also showed 2018 saw up to 3.7 percent year-on-year business growth worldwide. Global growth rates were impressive—with the proportion of businesses that have reported an increase in their sales/turnover up five percent, and with three percent more businesses experiencing profit growth, as well as product range growth, compared with the previous year. Overall, more than a third (36 percent) of all businesses agree that investment in IT is a high priority. But interestingly, the prioritisation of technology investment, when comparing companies with high and weak growth, differs starkly—the figure rises to 57 percent among those experiencing strong growth, but drops to just 20 percent among companies with weak growth. It is therefore conclusive that, per the results of the Global Growth Index, companies that consider technology investment as critical to their strategic growth are reaping the benefits. Technology is, after all, crucial to overall business growth in the manufacturing sector because it provides leaders with vital insight into their business operations, enabling them to make better decisions faster. Technology can also automate otherwise manual tasks, freeing up employee time—valuable to a growing company with a stretched workforce. International Data Corporation (IDC) has published an IDC Innovators report profiling five companies that offer compelling and differentiated general purpose AI software platforms. The five companies named IDC Innovators are Arago, Ayasdi, CognitiveScale, Kyndi and Primer. AI software platforms facilitate the development of intelligent, advisory, process automation and AI-centric applications. The technology components of AI software platforms include text analytics, rich media (such as audio, video, and image) analytics, tagging, searching, machine learning, deep learning, categorisation, clustering, hypothesis generation, question answering, visualisation, filtering, alerting and navigation. These platforms typically include knowledge representation tools, such as knowledge graphs, triple stores, or other types of NoSQL data stores, as well as machine learning tools to provide some level of recommendation, prediction or automation. The platforms also allow for knowledge curation and continuous automatic learning based on past experiences. For more information on this article, refer to the IDC Innovators: AI Software Platforms, 2018 report. 1. In your opinion, what are the top three megatrends that are shaping the robotics industry in Asia? Firstly, robots are becoming increasingly proactive due to intelligent features being incorporated into them today. Robots are no longer limited to menial or laborious duties. Empowered by artificial intelligence, robots can take on higher level tasks due to their ability to ‘learn’ and ‘think’. Secondly, the use of collaborative robots or “cobots” is set to increase. Robots have yet to really work collaboratively with humans due to safety concerns and inadequate sensory information. However, we are making substantial progress in improving safety and sensing technology, increasing the potential to revolutionise the way humans work with robots in the future. Lastly, decision makers are becoming increasingly aware of the benefits that their businesses can reap by incorporating robots. As a result, people with skills and expertise in robotics are becoming more highly sought-after. 2. What are the key challenges that prevent manufacturers in Asia from adopting robotics in their manufacturing processes and supply chains? Manufacturers are still faced with resistance from employees who are not familiar with robotics. Unfortunately, many employees still fear that their jobs are threatened by robotics and automation. Incorporating robotics into factories and production lines is also seen as a long-term project. Small and medium sized manufacturers, vigilant of their costs and cashflow, may not see investing in robotics as immediately beneficial or justifiable. Successful implementation of robotics is also typically perceived as requiring major adjustments to work processes or even infrastructure. This can lead to resistance from employees who are unwilling to change or adapt. 3. How do you suggest that the above challenges be solved? Manufacturers must understand that the implementation of robotics is not about replacing workers. When incorporated successfully in the production line, for example, robotics and automation can alleviate workers from routine and laborious tasks. These workers can move on to perform more value-added tasks in the factory, ultimately enhancing the quality and quantity of output. The belief that robotics only provides a long-term return on investment may also be incorrect. For example, for some organisations, simple optimisations to existing manufacturing lines have resulted in significant cost savings at comparatively low costs. For instance, Omron has helped one packaging manufacturer increase output speed by 30 percent by using anti-vibration technology. The speed of the existing yoghurt packaging line was limited due to the need to stop the product from sloshing during movements. Anti-vibration technology removed this bottleneck and allowed them to perform at a much higher standard. Training employees to pick up robotics skills and the ability to work with robots is also effective in driving adoption. Furthermore, robotics technology has evolved to the point where major infrastructure changes are no longer required in order to achieve the same goals. To explore what is possible, the industry has evolved to allow SMEs and businesses to experiment with these technologies rather than make an upfront commitment. The Omron Automation Centre, for example, provides solutions and training to companies who are looking to explore advanced technology solutions. 4. In 5 to 10 years’ time, how do you think the robotics industry and its relationship with manufacturing and supply chains will evolve in Asia? In five to 10 years’ time, robotics and automation will be a sine qua non for the manufacturing industry. Robots are expected to take on more higher-level roles as technology continues to evolve, providing relief to manufacturers today who are typically under increasing pressure due to fast-evolving consumer trends, shorter product life cycles, increased competition and labour shortages. On top of robotics, advanced technologies such as artificial intelligence, data analytics and the Internet of Things (IoT) will continue to play key roles in production lines and instil a sense of human-free proactiveness that will continue to transform the way we work in factories. Smart adaptive algorithms are equipping robots with the ability to analyse and process data with quick efficiency. Advanced analytics and AI software will also allow robots to arrive at programmed actions based on the intelligence they discover. It will also no longer be a surprise that machines and robots can track a large amount of production variables through advanced analytics. This allows timely control of crucial production factors such as manufacturing accuracy and quality control that are not easily spotted by humans. 5. What are your thoughts on the Singapore International Robo Expo? Do you think the industry is ready for an event like this? As a country that is largely thriving on a knowledge-based economy and with a strong focus on building itself into a leading smart nation, Singapore is an ideal location for events like the Singapore International Robo Expo. This event also provides an opportunity for the different stakeholders in the robotics industry to gather and exchange ideas. For example, Omron’s booth featured its Autonomous Intelligent Vehicle that featured a mobile robot and a collaborative robot arm tightly integrated together as a “mobile robotic handler”. These demonstrations help mature Singapore’s conversations and approaches on how certain functions, such as transportation and the loading of work materials in this case, can be fully automated.